The Singapore government recently revealed their grand vision of becoming the regional hub for Electronic Road Pricing. "While our neighbours are busy planting flag on the Middle Rocks, we move one step ahead by planting even more ERP gantries!" mused Mr Cheng Hoo Lang, spokesperson of LTA. "In fact, we are now studying the profitability of installing an ERP gantry at Pedra Branca. Everyone in Singapore pays ERP to go work, so how can exception be made for those fellows working in Horsburg Lighthouse?" The vision of becoming an ERP Hub has drawn flaks from a local geomacy expert. 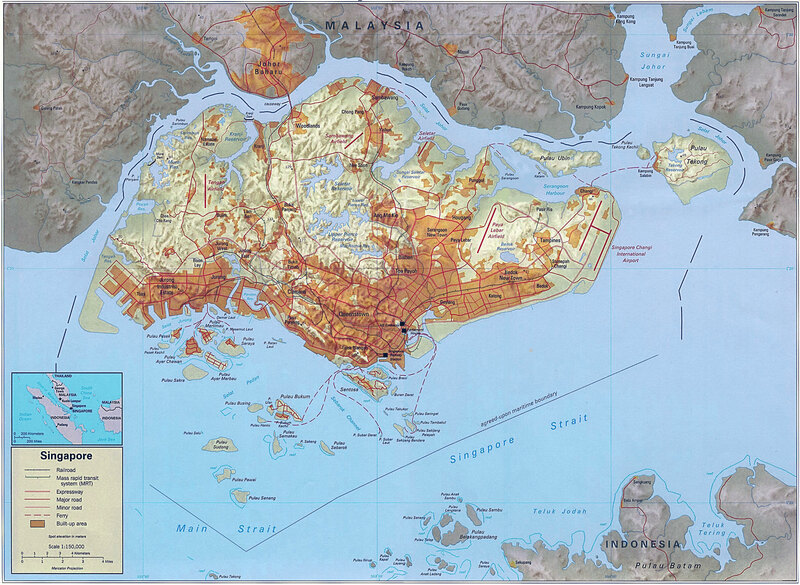 "From the top, Singapore looks like crab," explains Mr Kwa Hong Jui. "And those ERP gantries looks like giant staplers. So, imagine planting so many staplers on a crab, how to live like that? Don't expect Singapore to rise in ranking again for the most livable cities liao lah!" While car owners are moaning about the ever increasing cost of driving in Singapore, one company has set sights on grabbing this business opportunity. "We are in the finalising talks with LTA now," announced Mr Gu Sai, CEO of CowShlt Inc. "On my hands now is the revolutionary tie-up between Cow's Jr and LTA. From 1st August 2008, motorists will be able to log in their orders for Cow's Jr through their In-Vehicle Unit. When they pass by an ERP gantry, their orders will be picked up and payments automatically deducted from their cashcards. They can then proceed to the Cow's Jr outlet of their choice to pick up their favourite McSlug Happy Meal." When inquired about the unlucky motorists who have no chance to pass by any ERP gantry, Mr Gu said, "The LTA feels deeply for the unlucky motorist who yet have the chance to enjoy this special privilege. That's why the government has decided to erect an ERP gantry at the exit of every carpark by 1st Jan 2010. By then, ALL motorists can enjoy their favourite McSlug Happy Meal without frills! Kudos to the Transport Ministry!" On a separate report, LTA has announced that carpark charges at residential areas will be increased to curb congestion issue. "We noticed that the carparks at the residential areas are unusually congested since the implementation of more ERPs," explained Mr Cheng. "As such, to counter the problem of congestion in the carparks, LTA has decided to raise parking charges across island wide. Our Tranport authority firmly believes that raising charges can solve all problems. Transport Ministry boleh!"